Pull apart rolls are really easy to make and I like to make them as often as I can. It's good practice and one can variate the fillings without limit. 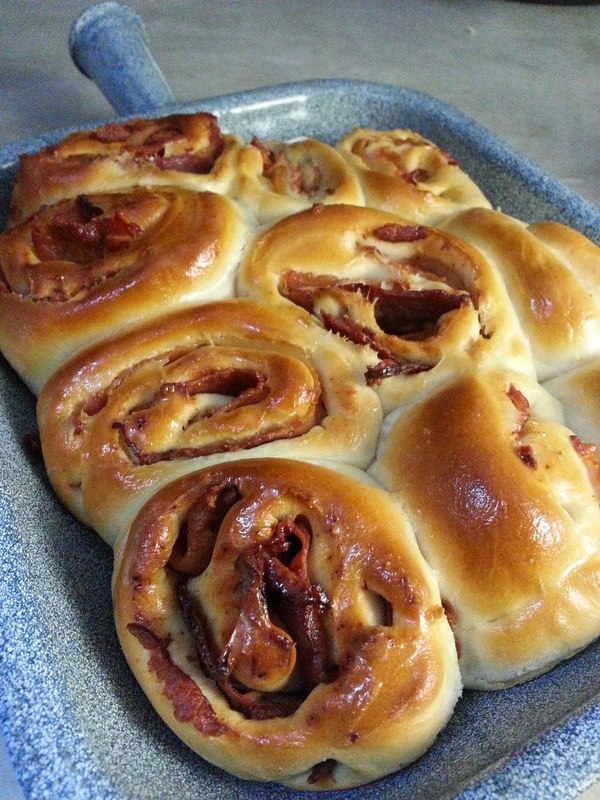 My love for bacon is well known and it seemed to me that long strips of bacon tucked into the rolls would be simply fabulous. They were. I made the bread dough using this recipe. 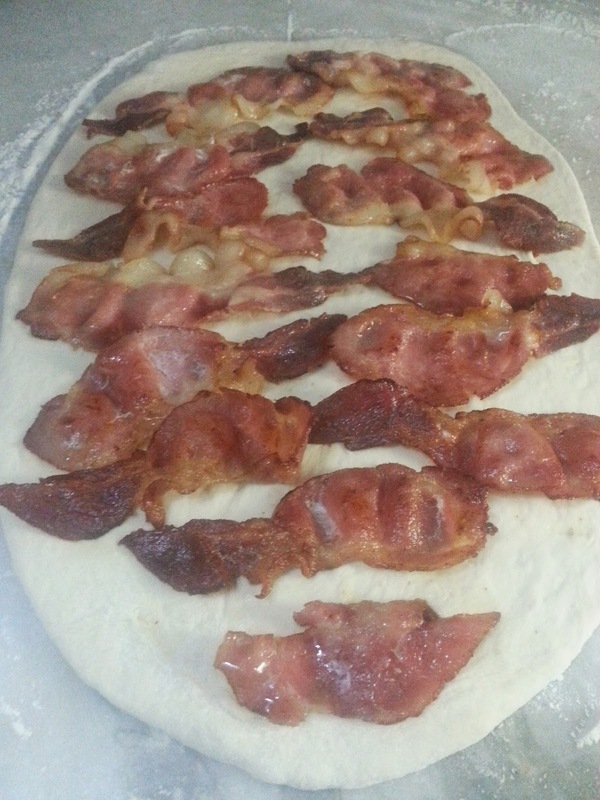 Once the dough has proved the first time roll it out and then arrange your strips of bacon on it. Be sure to cook the bacon strips first. 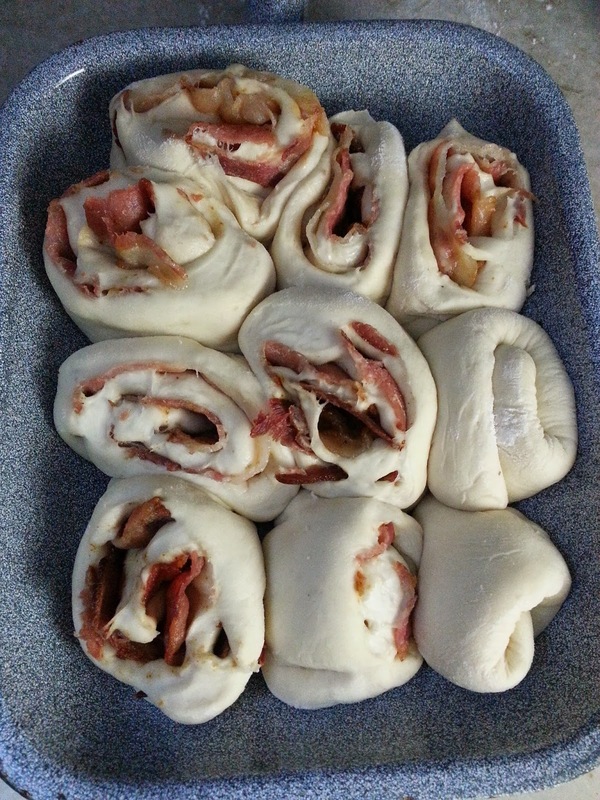 I left them slightly soft so they would roll with the dough easily. I had planned to grate cheese over the bacon strips but I forgot. I think cheese will be awesome in there so I'll remember it for sure the next time. Roll up the dough along the length of the oval so you get a nice long cylinder which will yield more rolls once you cut it. Once you've made a neat cylinder cut into portions with a sharp bladed knife or a dough scraper. Don't use something with a serrated blade. 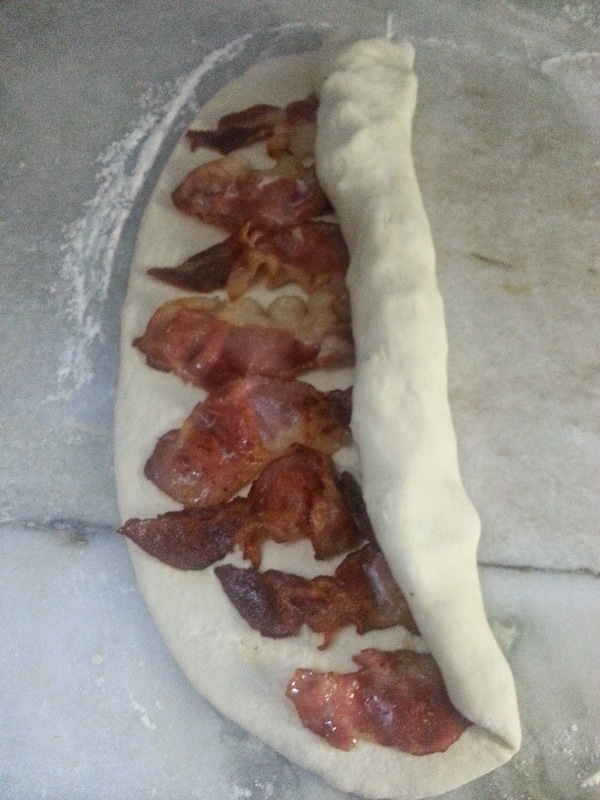 You want clean cuts that will go through smoothly without snagging on the dough. Pop the rolls into a pre heated oven and bake at 200C for around 20 minutes. Keep an eye on them - once the tops are nice and golden brown they're ready. Brush the hot rolls with butter and serve them warm from the oven with a hearty soup, a casserole, or just enjoy them on their own.